Companion planting has always been popular with gardeners in the know. They realize that creating the perfect growing environment for their favorite fruits, is as simple as designing just the right neighbors to live alongside their plants. Here are 10 companion herbs for the best tomatoes you can grow. 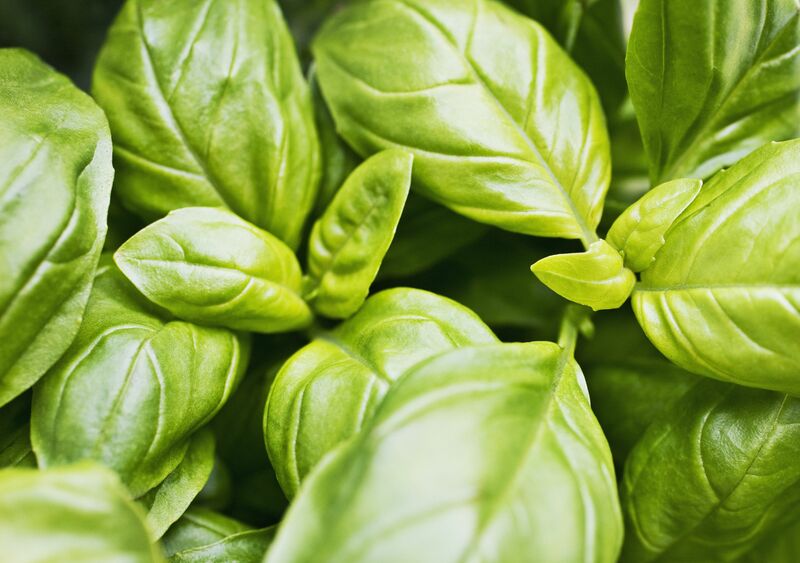 If you have ever tasted the richness of basil, it will come as no surprise that basil enhances the flavor of your favorite tomato as it grows. This companion is not only easy to tuck in alongside your favorite tomato plant, but it also makes a lovely complimentary planting. Borage offers a lovely companion planting for tomatoes. The purple flowers and fuzzy, silvery green leaves make a super neighbor for the lush foliage for the tomato plants. Add to that the improvement to the tomato's taste and you have a sure-fire winner. Another fabulous companion herb for tomatoes, chives not only help the tomato's taste, but they also season tomato dishes just wonderfully. Since Chives are perennial, think of them as the backdrop for your tomato garden. Everyone recognizes the brightly colored blossoms of the marigold. From rich reds and bronzes to bright yellows, marigolds offer a pop of color and insect control to any garden. Did you know that they are said to improve tomato flavor as well? Mint makes a wonderful companion to your tomatoes. Just be sure to contain it in pots, or it can go ​a little nuts, and become invasive. If planting tomatoes in a container garden, this is not a problem and you can plant your mint right under the tomato vines. Sage is simply delicious! It offers the added benefit of being a good companion plant for tomato growers. With all of the colors and sizes that Sage comes in, you will be sure to find the unique look you want for the garden. Thyme is so delicate, it is amazing how much scent and taste there is in each leaf. Thyme is also wonderful for improving the taste of tomatoes. Try adding a creeping thyme to the front edge of your container garden. While it spills over the side in a lovely wave of tiny flowers and leaves, know that it is also helping your tomatoes taste the very best. You may be surprised to know that catnip makes a good companion plant for tomatoes. The truth is, it makes a great plant for beneficial insects that help protect your tomatoes. So, planting it in an area close by but not necessarily right next to, your plants is all you need to do. Try keeping this member of the mint family in check by planting in a pot. Anise is another herb that is an excellent companion for tomatoes. It attracts and feeds many beneficial insects that will protect your tomatoes. An added benefit is the lovely plant itself. It makes a tall backdrop for the dark foliage and bright red fruits. Dill is yet another wonderful herb for a beneficial insect's home near your tomatoes. Do not plant dill right next to the vines, however. Neither the tomato nor the dill will grow well. Leave dill's frilly, light structure to grow in your beneficial insect garden, right near the tomatoes and you will be inviting the very insects that will help protect your precious fruits.